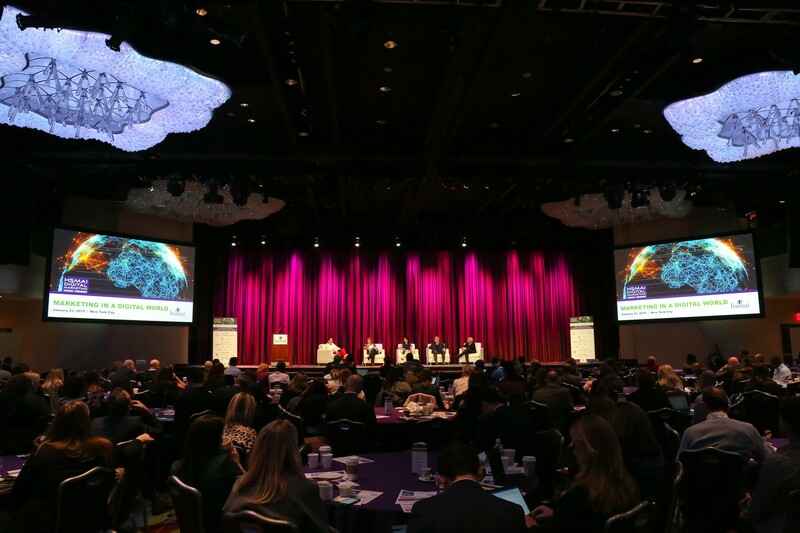 We recently attended HSMAI's Digital Marketing Strategy Conference in New York, New York at the beautiful New York Marriott Marquis. Just like “the city so nice they named it twice,” the conference was amazing, and full of insights, info, and outside-of-the-box thinking. Jason Price of HEBS Digital invited Nicole Adair, SHR’s Corporate Director of Revenue Management, to present with him in a special Master Class. Alysia Bruno, our Director of Business Development Northeast U.S., explored the happenings in several of the break-out sessions and around the event floor. Considering Alysia’s business focus, she had her radar out for networking and new trends in hotel digital marketing immediately. There was a lot of talk everywhere about social media, and hotels displaying more images than text on their hotel websites. Also, not surprisingly, reducing clicks to book for more reservations was a hot topic. There was a very interesting session on using user data to create the ultimate personal guest experience. The example discussed was Audi’s “Perfect Day” promotion, targeting folks who had visited their website specifically for an Audi convertible. Audi took note, looked up weather forecasts, contacted them when it was a rainy day, and then offered a test drive on the next sunny day. Such a seemingly small thing, but it garnered Audi substantial good will with their audience, not to mention substantial new sales. Bottom line for hotels? Use your data! Photo courtesy of HSMAI, © 2019. One other session that really captured Alysia’s attention focused on the relatively new emergence of the bleisure travel market. The recommendation to all in attendance was to consider this in all their marketing. We agree. Once considered uncommon, the bleisure traveler, a guest who blends business trips with their own personal leisure experience, is now more the rule than the exception. A recent study by Expedia backs this up, showing that a whopping 43% of all U.S. business trips are now bleisure trips. And the trend is steadily growing. How can your hotel benefit? Check out the SHR blog on the subject here for tips and tricks you can use today. 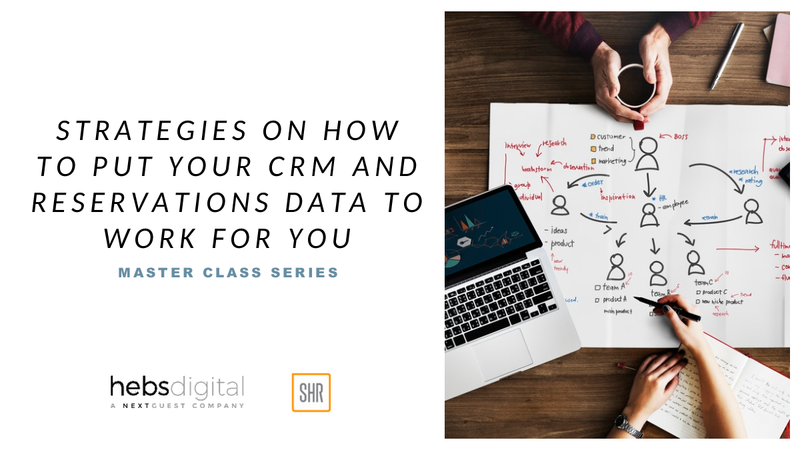 Strategies on How to Put Your CRM and Reservations Data to Work for You, featured both Nicole and Jason, and was all about how hoteliers can better leverage their data. For instance, widely available new Business Intelligence Reporting can allow revenue managers to quickly and effectively pinpoint need periods as well as more in-demand periods, so a greater focus can be placed on the shifting business mix. Revenue Management can better inform marketing on what to target, and when. Jason focused on new data visualization solutions that allow marketers to hyper-target their marketing, increase ROAS (Return On Ad Spend), and be more effective with their marketing budget to make sure they're appropriately targeting their marketing in a quick and pro-active way. For a deeper dive into this subject, plus some practical takeaways to help you get started today, check out our recent webinar on leveraging data featuring Jason and Nicole here. The second and third parts of the Master Class, presented by Jason’s HEBS Digital colleagues, focused on the travel planning journey and appropriate marketing strategies in each phase. According to Google, the average person experiences almost 39,000 digital micro-moments (i.e., reading a text, checking Facebook, etc.) in two months. This means that you really have to bring your A game if you want to garner a user’s attention. This means not only fully understanding each phase, but being able to apply it to your best advantage. In the Dreaming phase, Google reports that 82% of users are undecided on what accommodations to book, which means numerous opportunities to grab potential guests' attention. This is why multi-channel marketing is crucial. The Planning phase is accommodations-focused. Think hotel videos, local content and travel guides. The Booking phase focuses on name and branded keywords. This is why email marketing is essential to helping stem the tide of reservation abandonment. The Experience phase is all about the destination, so things like a spa and dining come into sharp focus. Hoteliers also need to remember to use their CRMs to communicate before, during, and after the stay. Jason Price, HEBS Digital, and Nicole Adair, SHR. The last part of the Master Class revolved around looking at your website through your customer's eyes. Consider this: According to Fuel Travel, travelers visit only 4.4 unique sites before booking, which is a steep drop from previous reports of up to 38 sites. A number of concerns were covered, including shorter booking windows, how to make sure travel websites provide more value (reviews, destination info, relevant content, etc. ), plus access to Google Flight and Hotel. We also discussed the fact that, according to Accenture, 67% of people now want travel companies to personalize communications, and are 80% more likely to do business when offers are personalized based on their consumer profiles, so target your promotions accordingly. Our time at the conference was well-spent, and as usual, Alysia and Nicole learned more than they even expected. A hearty thanks to Jason Price of HEBS Digital for sharing this experience with us, to HSMAI, and to all the hoteliers in attendance who made the event such a great success. See you in 2020!